As you may know I'm a proud Mum to two lovely ladies who are 3 and 5. I've realised that no room is more fun to decorate than a children's room. Not only can you go a bit wild, but also it needs constant updating as they grow - perfect excuse if ever I needed one! I'm always keeping an eye out for children's rooms on Pinterest. And today I spotted this very cool space belonging to little 18 month old Della. 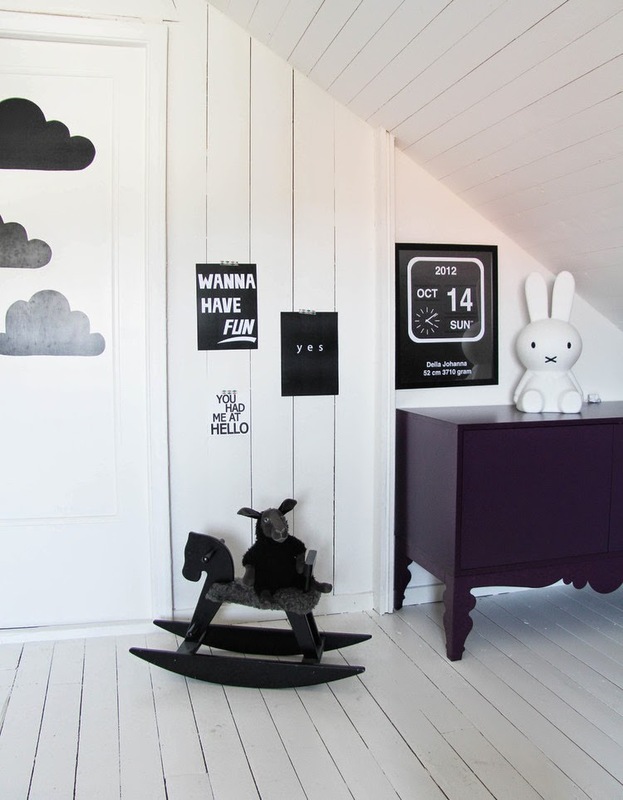 The monochrome room was designed by her Swedish Mummy and Daddy: Sandra and Marcus, the creative duo behind playful graphic poster shop Miniwilla. Thank you Della, for allowing me to share a tour of your room today! 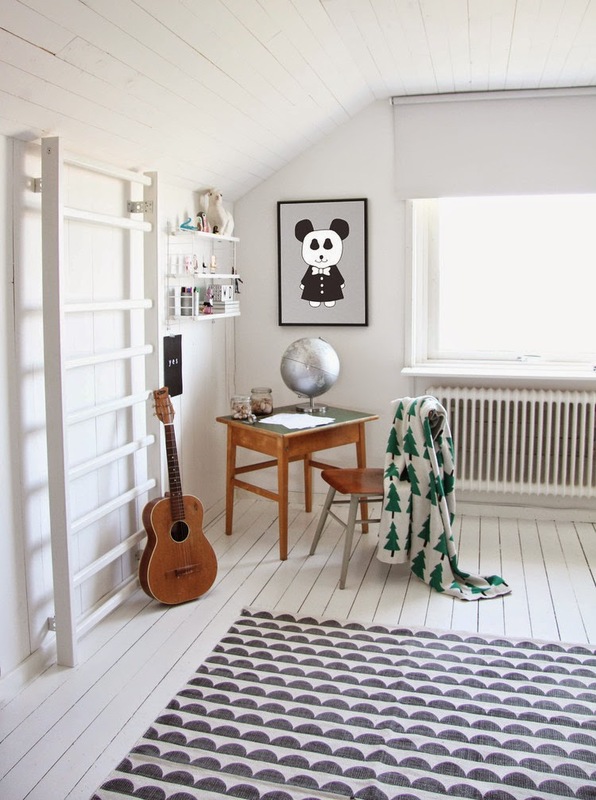 I spy: Prints and posters by Miniwilla, the Joanna Rug, String shelving, Eco Forest baby blanket, Miffy lamp, Lundby Dolls house, Honeycomb pom poms, Fjälllräven ruck sack, Tee pee. A selection of gorgeous children's designer clothes. 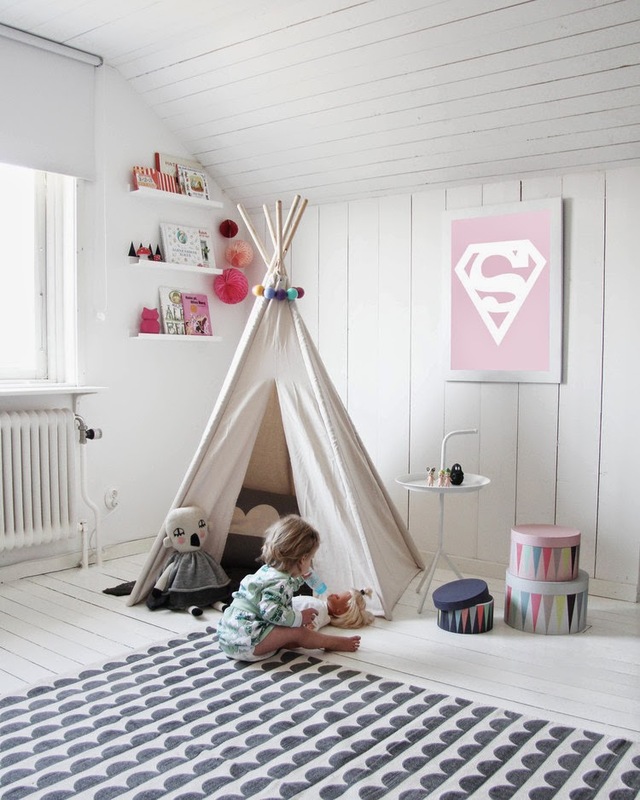 Such a cute room don't you think? For those of you hurtling towards the school Easter holidays in a panic - I love this DIY easter t-shirt project for afternoon entertainment. And for those of you who fancy a more grown up take on a white space for today's inspiration - I love this home of a creative Finnish duo, this Brazilian home and this monochrome Dutch space. Love this room! I am convinced that we (as a society) have too much STUFF! I am so drawn to the designs you share. Time to go through each room and simplify! Thanks for the inspiration! What a pretty room, Lucky Della. 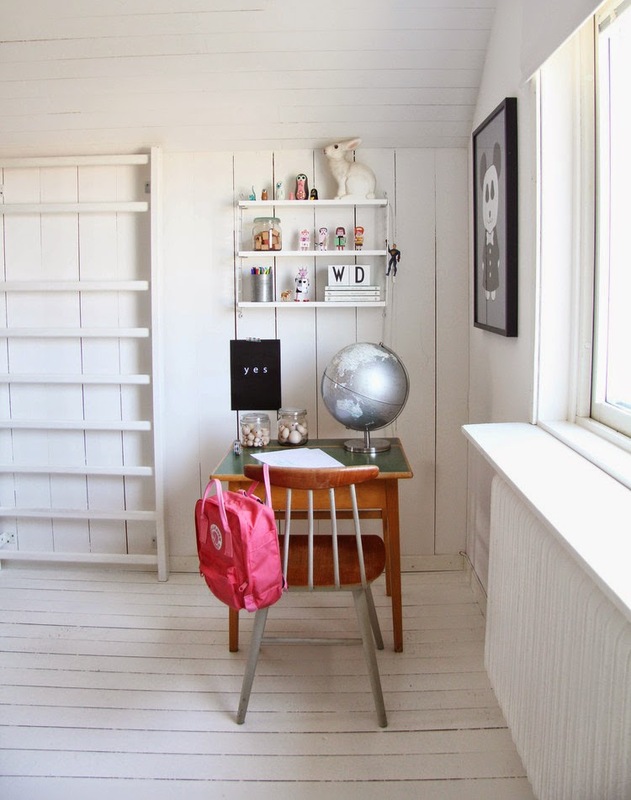 Wish more kids rooms were designed this way (including fluffy dolls instead of plastic ones). I love the white wood everywhere. So adorable yet understated. 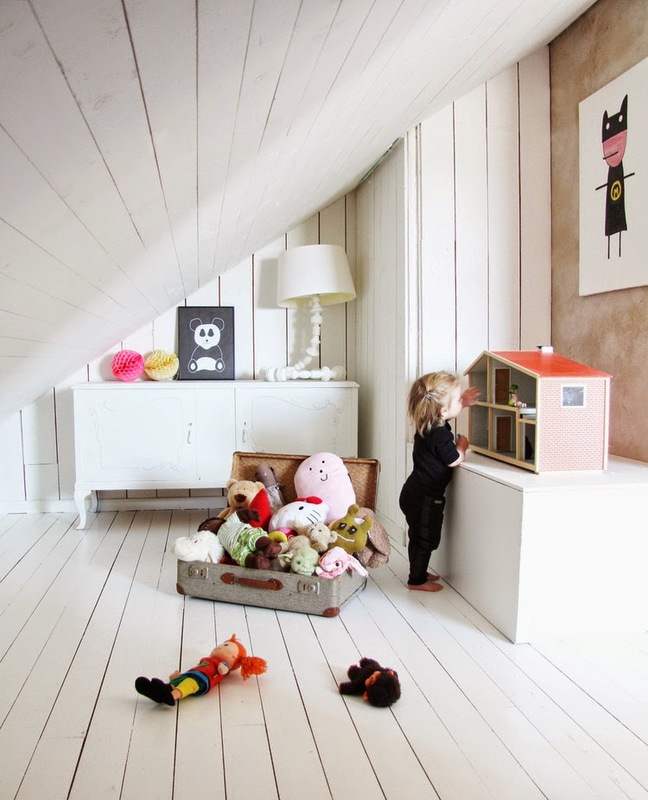 I am always on the look out for kiddo rooms too- so thank you for sharing this. I mean, could she be any cuter?